Gone is the home button. Gone is the fingerprint scanner. 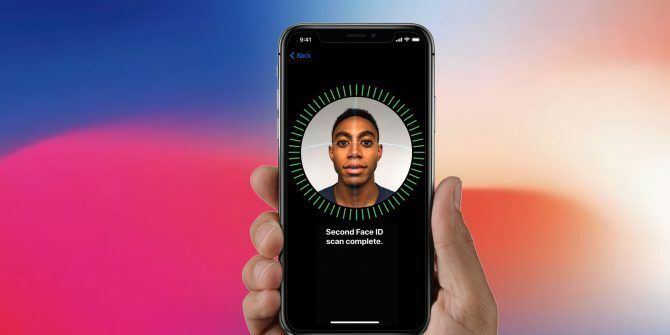 It’s time to make way for Face ID, Apple’s new method of identifying and authorizing users using facial recognition. There was a lot of concern that Apple’s Touch ID replacement would be flaky, slow, and less preferable to the at-times inconsistent fingerprint scanner 3 Easy Ways to Make Touch ID More Accurate on iOS 3 Easy Ways to Make Touch ID More Accurate on iOS Touch ID can be a bit finnicky out of the box, but with a few tips and tricks, you can really improve its accuracy without much effort. Here's what you should do. Read More . It’s likely Face ID will soon replace all instances of Touch ID, on all iPhones. You can stop worrying now, because Face ID is a great example of Apple’s tendency to wait for a technology to mature before implementing it on a flagship product. Remember the iPhone 5s? Remember how slow the first fingerprint scanner was Touch ID Woes: Troubleshooting The iPhone 5S Fingerprint Scanner Touch ID Woes: Troubleshooting The iPhone 5S Fingerprint Scanner There's no doubting that Apple's iPhone 5S introduces one of the best implementations of fingerprint scanning, but it's not been plain sailing for everyone. Read More ? Remember how it randomly failed, regardless of how clean your fingers were, or how you were gripping the device? Face ID solves those issues. Even though this is the first generation of Apple’s facial recognition technology, it’s leaps and bounds ahead of their first fingerprint scanner. In fact, it matches my iPhone 7 Plus in terms of unlock speed under the right conditions. It virtually never fails. It doesn’t matter if your fingers are wet or your screen is greasy. 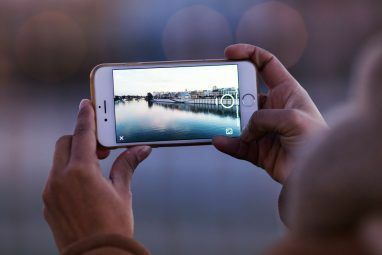 You might need to wipe the sensors once in a while (as you do your iPhone’s camera lens), but it’s nowhere near as prone to failure as the Home button was. Perhaps most impressively, unlocking your device or authorizing an Apple Pay purchase becomes an invisible process. You stop consciously unlocking your iPhone, because it unlocks as soon as you look at it. Before long, you stop thinking about the process entirely. I wear glasses all of the time, I have a beard which blows around in the wind, sometimes I wear my (long) hair down. Face ID has only failed me a handful of times, and even then I’ve never had to input the passcode because the sensor re-scanned and authorized me on its second pass. Face ID can be used anywhere Touch ID was used previously. The obvious example is unlocking your iPhone, but also paying for items with Apple Pay Apple Pay Is Safer Than You Think: 5 Facts To Prove It Apple Pay Is Safer Than You Think: 5 Facts To Prove It Mobile-based payment services like Apple Pay are becoming more and more popular. But what security features does it offer? What safeguards are in place? Is it safe? Read More , verifying iTunes or App Store purchases, and auto-filling sensitive Safari data like credit card information. 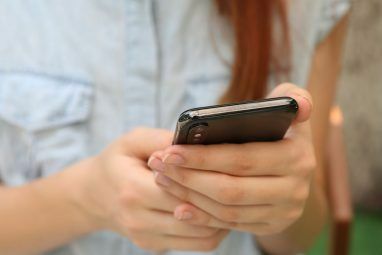 A feature called Attention checks whether you’re looking at the device, and prevents the screen from dimming or locking for as long as it detects your gaze. You can turn this off if you’re prone to wearing sunglasses, since it won’t work so well if your eyes are obscured. Animoji is a light hearted feature that makes use of the new sensors. It detects your expression in real-time, and maps it on an emoji character of your choice. Finally you can send an expressive monkey, cat, or poo to your friends complete with wiggling eyebrows. It’s also possible for third-party apps to request access to Face ID, either for authorization purposes, or more light-hearted emoji-type implementations. Arguably the biggest benefit of Face ID is to the overall iOS experience by letting you bypass and forget about boring stuff like unlocking your phone. Face ID is apparently harder to fool than Touch ID, according to Apple. However, there have already been examples of Face ID being fooled, and not just for identical twins or long lost relatives. One 10-year-old boy was able to unlock his mother’s iPhone X, though when she re-scanned her face in good lighting conditions, Face ID couldn’t be duped. Evidently, if you’re concerned make sure you scan in good light. Others have tried to fool the iPhone X with horrible abominations like this mask, though Apple’s Phil Schiller maintains that the likelihood that another user can fool Face ID is 1-in-1,000,000 compared to 1-in-50,000 for Touch ID. Attention, the same feature that can prevent your iPhone from dimming the screen if you’re looking at it, is also enabled by default to add an additional layer of security to authorization. This means the device won’t authorize unless you’re looking directly at it, which prevents “false positive” unlocks caused purely by your presence. It’s also worth keeping in mind that a picture is not enough to fool Face ID, since it uses a 3D scan. That’s another security benefit over Touch ID: making a mold of your fingerprints Does the iPhone 5S Fingerprint Scanner Increase The Chance of Theft? Does the iPhone 5S Fingerprint Scanner Increase The Chance of Theft? The iPhone's new fingerprint sensor seems like a great way to use biometrics to keep the device secure and personal, but could the feature be used against the owner to circumvent existing protections? Read More is a lot easier than creating a mask of your entire face. Apple includes a whole privacy disclaimer in the Face ID menu that asserts that your facial recognition data never leaves the iPhone, and isn’t sent to Apple directly (though you can transmit anonymous diagnostic information). Some Face ID data is shared with third-party developers, provided the user grants permission via a prompt. It’s not enough to unlock your phone, since Apple uses math for that part, but limited 3D maps can be shared for the purpose of certain app features (like Animoji). While Apple is strict about the way they use your data, once the data is shared with third parties, Apple cannot police what happens. As a result, you should very carefully vet which apps are able to access your likeness. Unlike your fingerprint, an in-depth scan of your face raises way more privacy concerns, and thus deserves a higher level of scrutiny. As previously stated, the failure rate of Face ID is incredibly low, speaking from experience. I expected less smooth sailing on account of my beard and glasses (including polarized sunglasses), but I’ve been thoroughly impressed so far. The only time I’ve noticed Face ID won’t work is when you’re way too close to the screen. The best example of this is reading in bed, and it’s the only time I tapped in my passcode in the whole week I’ve used the iPhone X. Otherwise, Face ID has been a huge success. It even works in near darkness, which is a relief. If you do experience issues with sunglasses, you can turn off Attention for a slightly less secure but more convenient experience. If you love your fingerprint scanner, you’re going to need to pick up an iPhone 8 iPhone 8 Review: Smart Phone, Dumb Upgrade iPhone 8 Review: Smart Phone, Dumb Upgrade You can ultimately evaluate the iPhone 8 without ever picking it up, if you own a 6s or 7. It's a refinement of what came before, with unrealised potential in its wireless and fast charging... Read More . You’ll save some money too, and the iPhone X doesn’t really do anything that the iPhone 8 doesn’t. You’re paying for the experience, the convenience of Face ID, and that all-encompassing front display. Touch ID is still prone to the many problems that Face ID solves. Greasy fingers, wet hands, a slow response time, random failings for no reason 3 Easy Ways to Make Touch ID More Accurate on iOS 3 Easy Ways to Make Touch ID More Accurate on iOS Touch ID can be a bit finnicky out of the box, but with a few tips and tricks, you can really improve its accuracy without much effort. Here's what you should do. Read More — going back to my iPhone 7 Plus after the luxury of the iPhone X is a drag. But some readers will genuinely prefer Touch ID. If you’re on the fence, go and play with the iPhone X and see for yourself. If you’re still not convinced, the iPhone 8 is a solid device with all the bells and whistles you’d expect. How long it will be till Touch ID is removed entirely? Are you excited about the future of Face ID? Explore more about: Face Recognition, iPhone X. The article speaks as if finger print scanner on phones was first introduced by apple. Fanboy alert. The article speaks as if finger print scanners on phone was first introduced by apple. Fan boy alert.